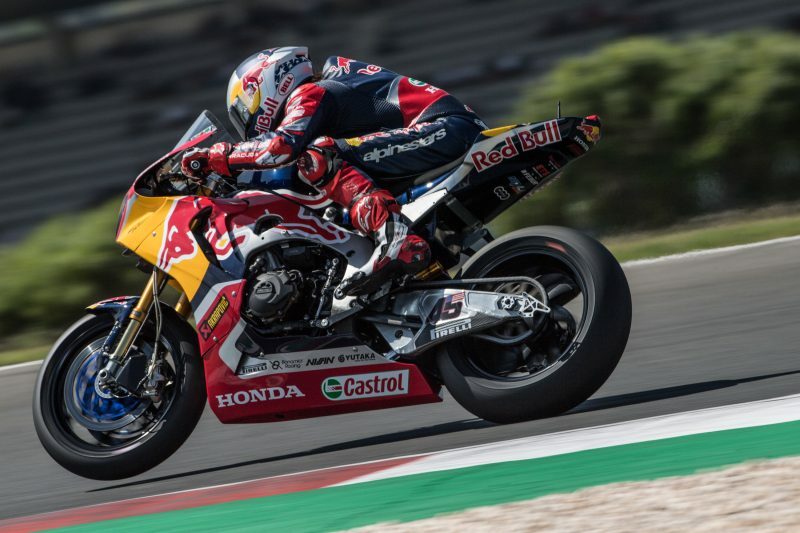 The Red Bull Honda World Superbike Team fought hard but ultimately reaped little reward in Race 1 at Portimão, as an ill Jake Gagne battled to a brave thirteenth place while his teammate Leon Camier retired due to a technical issue. 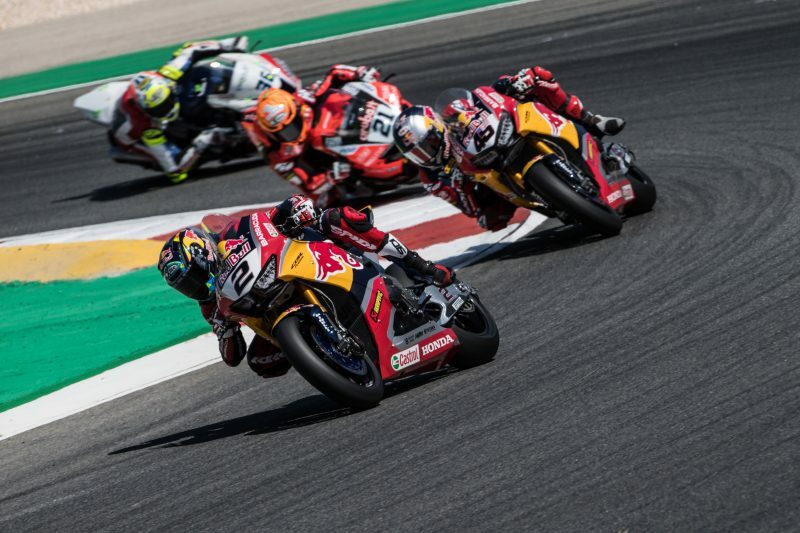 For Race 1, both Camier and Gagne lined up on Row 5 of the grid in thirteenth and fifteenth place respectively but a good start saw both riders improve their positions in the opening laps. With the race approaching the halfway mark, Camier was circulating in tenth place with his teammate Gagne just behind him in P11. 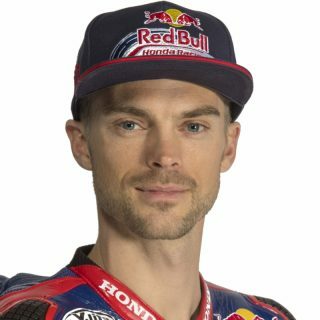 However, misfortune struck as first Camier’s motorcycle experienced a technical issue which ultimately saw the British rider return to the box on lap 10. 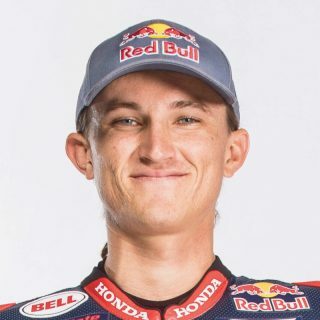 Meanwhile, Gagne suffered from stomach problems while on the grid and although he fought his way into a top ten position, the physical discomfort meant the American rookie fell down the order, eventually finishing in thirteenth position. Today’s results sees Gagne move up to 44 championship points and he stays in seventeenth place in the overall standings, while Camier remains on 88 championship points in thirteenth overall. The team now look to Race 2 tomorrow which gets underway at 1515 local time (GMT +1) but before then they’ll be on track for the morning Warm Up session at 1010. I had a really good start and was able to make up a lot of places, but the collision between Eugene and Xavi at turn 3 meant I had to stand the bike up which lost me quite a few places. After that I was able to get back into a good rhythm and felt I could have a decent result. Unfortunately halfway through the race I suffered a problem with my bike – I tried to push on for a couple of laps, but there was no way I could continue so I had to return to the box. The team are looking into it now and we’ll regroup and try again tomorrow in race 2. I felt I’ve had a good weekend so far, qualifying wasn’t the best but I knew my race pace was good. Unfortunately I had some stomach discomfort heading into the race which got worse and worse. Although I could run at a strong pace for the first few laps, as the race went on I was struggling a lot. I’ll rest up and aim to be recovered for race 2 tomorrow where I’m sure I can grab a better result. We worked hard overnight and made some progress with our setting, but unfortunately we’ve experienced some bad luck on both sides of the garage. Qualifying wasn’t the best for us, but in Race 1 Leon had a fantastic start and got into a good rhythm but halfway through the race he felt something wasn’t right with the bike and he had to retire. We’re now investigating what the problem could be. For Jake he also had some really bad luck, just before the start of the race he felt some stomach pain but was able to start and was having an excellent race getting into the top ten. 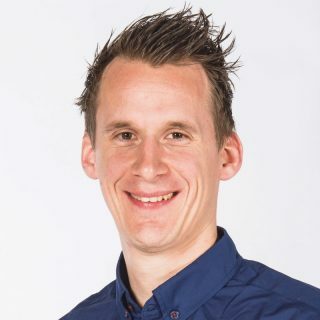 However, as the race went on his physical condition got worse and although he finished the race in the points he was on for a much better result. We’ll be hoping for better luck and a better result in race 2 tomorrow.